During the summer of 1682, a stone-throwing devil persecuted a Quaker tavern owner named George Walton in what is now New Castle, N.H.
“…chiefly in throwing about (by an Invisible hand) Stones, Bricks, and Brick-Bats of all sizes, with several other things, as Hammers, Mauls, Iron-Crows, Spits, and other Utensils, as came into their Hellish minds, and this for space of a quarter of a year..."
Cotton Mather got wind of the strange occurrences, and concluded they were the work of the devil. An early New Castle home. The stone-throwing devil started his lapidary antics on June 11, 1682, and continued for three months, according to Mather. He rolled stones across the hall of George Walton's tavern. He threw small pebbles and rocks weighing 30 pounds, sometimes shattering windows. One stone once cut a clean hole through glass, like a bullet. People heard demonic voices and saw a black cat when the stone-throwing devil went about his business. He also whistled, snorted and clattered like colts' feet. And it wasn’t just stones that suddenly shook off their inertia, wrote John Albee in his 1884 book, New Castle, Historic and Picturesque. "Hammers, pewter pots, the andirons and candlesticks, sun dials, joint-stools, hatchets and hoes, left their humble drudgery and pirouette over the floors and ceilings," he wrote. The spit flew up the chimney and the haycocks ended up in the tops of the apple trees. The stone-throwing devil only threw things around at George Walton's tavern. Sometimes he pelted curiosity-seekers who came to see the rocks for themselves. Needless to say, the news of the stone-throwing devil disturbed the citizens of New Castle. Some people prayed to get rid of him. Some just scoffed. But all of them talked about it. Walton blamed the stone-throwing devil on a neighbor with whom he fought over a property line. He called her a witch. She called him a wizard. Others in town had reason to throw stones at George Walton, a man with several strikes against him. Not only did he follow the Quaker religion, he employed two Indians. People viewed them with unease because King Philip’s War had ended only four years earlier. Walton also inspired jealousy because he owned a brewery, livestock and 200 acres of land, more than anyone else in town. He attracted fisherman to his establishment, people his Puritan neighbors thought godless and rowdy. 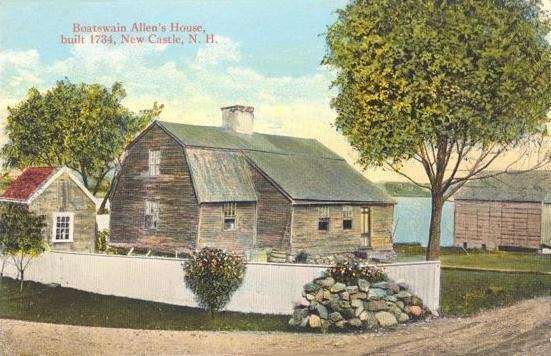 The historian Albee pointed out that another group of people dined and stayed at George Walton’s tavern: the New Hampshire colony’s royal officials. And he noted that the stone-throwing devil incidents coincided exactly with a time of great turbulence in New Hampshire. New Hampshire had recently separated from Massachusetts. That inspired Robert Mason, the son of the man who originally held the charter, to reassert his claim. He wanted to turn New Hampshire into a feudal estate, collecting rents from the citizens. The citizens, though, were quite sure they owned their own property. So Robert Mason paid Edward Crandall 150 pounds to serve as royal governor and do his dirty work. Cranfield made things even more difficult for himself and for the people of New Hampshire. He belonged to the established English church, and he tried to force high Anglican rituals on the largely Congregationalist citizens. 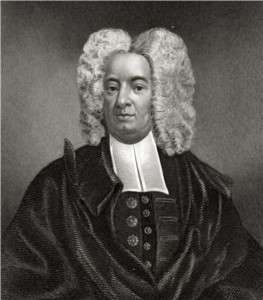 When the local minister refused to follow the rituals of the established English church, Cranfield put him in jail. The year after the stone-throwing devil incidents vexed New Castle, a small rebellion against Cranfield broke out in nearby Hampton. Cranfield sent the leader, Edward Gove, to the Tower of London. After three months of torment by the stone-throwing devil, he stopped. But George Walton was never quite the same, wrote Albee. One of the royal officials who enjoyed George Walton’s hospitality made use of the stone-throwing incidents. Richard Chamberlayne, secretary to the royal governor of New Hampshire, published a pamphlet in London in 1698 about the stone-throwing devil. He called it Lithobalia, and it proved quite popular -- an early example of the supernatural horror genre. This story about the stone-throwing devil of New Castle was updated in 2018. If this story interested you, you may want to read about Edward Gove's rebellion here. Can you beef up your proofreading? Is it Crandall or Cranfield? Can you beef up your proofreading? Is it Crandall or Cranfield? Also why is there a pop-up when going from one link to another link on the site? It is annoying.